Jose Hernandez-Disla, a high school baseball coach in Newton, Massachusetts, is accused of sexually assaulting a child in New Hampshire. A baseball coach at Newton South High School has been charged in the sexual assault of a juvenile in New Hampshire. Jose Hernandez-Disla, 24, was taken into custody Tuesday at his Waltham, Massachusetts, home by the United States Marshal's Fugitive Unit and the Waltham Police Department after a months-long investigation by police in Litchfield, New Hampshire. Hernandez-Disla was the freshman baseball coach at Newton South High School, but was fired by the school district after his arrest. "The news is extremely troubling," Newton Public Schools spokesperson Julie McDonough said in a statement. "When we learned of the criminal charge, we acted immediately to terminate Mr. Hernandez-Disla's employment with the Newton Public Schools." 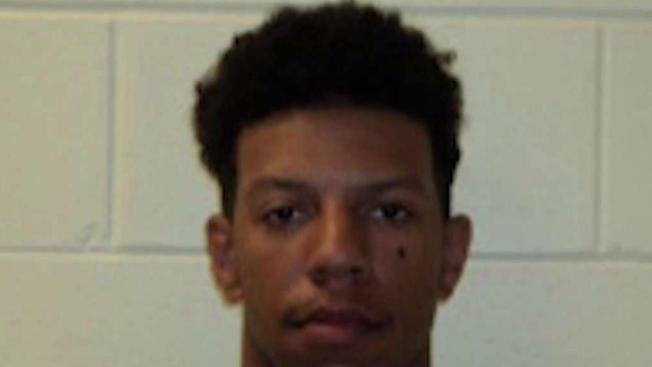 Students at Newton South High School said they weren't alerted to the arrest by the school, but his absence has been noticed. "I'm surprised to think that there weren't any indications of this earlier, like, no kind of bread crumb trail the school could find out," student Adam Baker said. Hernandez-Disla is charged with two counts of felonious sexual assault and certain uses of computer services prohibited. He was released on $7,500 cash bail. He is scheduled to be arraigned at the Nashua Superior Court on May 24 at 1 p.m.